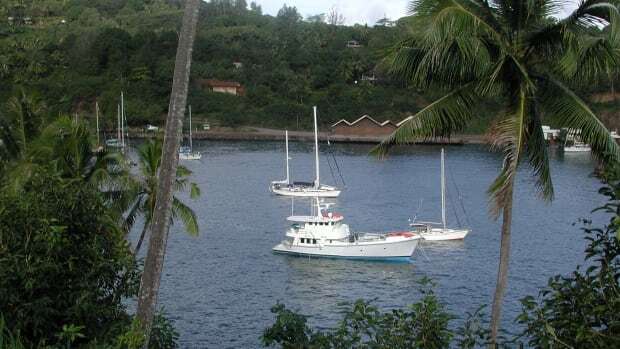 Bruce Jones had some definite ideas about his next cruising boat, born of years as a boat owner blessed with the urge to explore. After a thorough search for the proper vessel and the right builder, he decided on the new Selene 66, the flagship of the Selene fleet. The yacht was delivered at the end of 2008, just before the January 2009 Seattle Boat Show, and Jones oversaw final commissioning in the spring. He took the boat to Alaska on hermaiden voyage, singlehanding her, with a regular roster of guests coming and going. 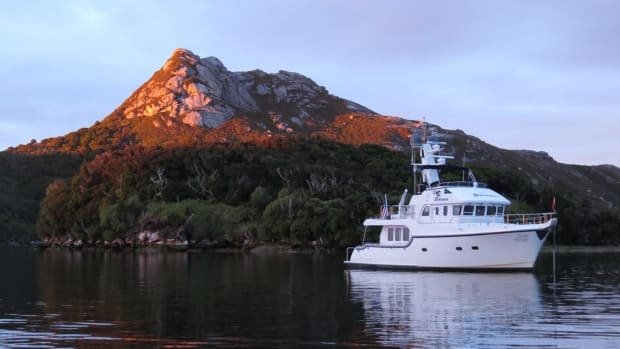 Jones had most recently owned a West Bay 58, preceded by a West Bay 80 and a DeFever 54. 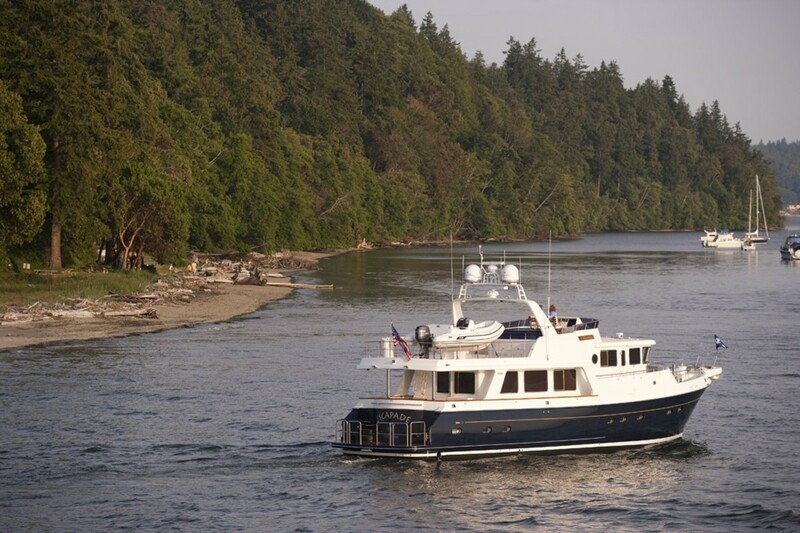 Like many Northwest owners, Jones has a keen interest in the cruising lifestyle, has been boating for 50 years, and cut his cruising teeth in Johnstone Strait, north of Vancouver Island. In 1994 he bought the DeFever, the boat that got him started on his Alaskan explorations, and for the last 15 years has made annual trips to Alaska lasting an average of six to eight weeks. For his kind of cruising with guests, he selected the Selene 66 layout with the galley in the pilothouse and a settee to port. This option creates a huge saloon with a formal dining area. 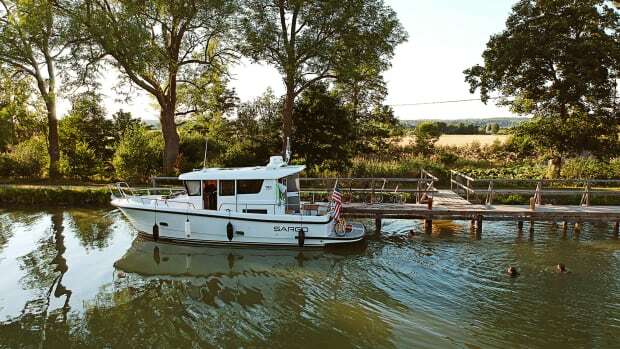 According to designer Howard Chen, the 66 is more often built with the galley down, a decision that’s at the discretion of the customer and is a benefit of the semi-custom approach offered by this responsive builder. Another example of Selene’s adaptability: the master stateroom has a standard entrance from the saloon, as well as a passageway from the landing at the bottom of the stairs leading to the accommodations forward. “The passageway from the master to the forward accommodations seemed redundant to me,” Jones said. “Closing it let me get another washer and dryer in a locker forward, and Selene made it happen. I specified the second guestroom with a Pullman berth and eliminated a little bit of storage to make the outboard berth a bit wider. Now that cabin has lots of rooms for grandkids. The Selene 66 hull is derived from the hull of the Selene 62, meaning that it has the builder’s signature deep keel and a larger volume achieved with sides that extend deeper before turning inward at the bilges. It also has the “cruiser stern” that extends the running surface aft under the swim platform for additional waterline length. This hull was one of the first of a new generation of hulls intended for serious passagemaking, involving a new series of molds with deeper drafts, more room for storage and tankage, and more headroom in the engine compartment. Because Jones selected twin engines rather than a single diesel, the aft end of the keel is somewhat truncated, and two separate skegs are molded in place ahead of the props. This provides enough strength to support the boat on three points, including the keel, protecting all the running gear, should the yacht ever dry out on a shoal. Boarding options on the Selene 66 are well thought out, with twin molded staircases leading up to the aft deck from the swim platform, twin aft deck side doors for when swim platform access is not convenient, and twin side doors on the Portuguese bridge for higher fixed docks. The aft and side decks are well sheltered by overhangs of the boat deck above, and the side walkways are wide and deep for added security. Across the transom, there’s a wide bench and an oval teak table, all on a riser for excellent views. Teak caprails around the aft deck extend forward to the flybridge support pylons and atop the Portuguese bridge. On the locker to starboard, Jones specified a built-in Miele electric grill, a Corian countertop with sink, and lots of room for storage below. Here, too, you’ll find a manual bilge pump with intake controls for various compartments below decks. Access to the saloon is through a sliding door with a substantial latch and finished on the inside with teak, a lovely look that blends with the teak bulkheads, boxed-in blinds, and built-in cabinetry. The stunning woodwork (cherry also is available) is finished in matte, with glossy accents here and there, all supported by a flawless teak-and-holly sole. Large fixed windows with chromed trim on the inside let in loads of natural light and provide excellent views of the surrounding water. Air conditioning vents overtop the windows are well disguised. In the overhead, there’s nicely recessed indirect lighting, and an array of warm-white Imtra LED lights for direct illumination. Guests and family can relax around a custom teak table on a huge L-shaped lounge to starboard, which has storage beneath, or in two chairs to port, where you’ll also find a locker with TV on a lift. Moving forward on the port side, there’s a large locker with three Sub-Zero pullout freezer drawers and other storage, all convenient to the dedicated dinette to starboard. Three steps up lead to the massive pilothouse, with its galley up. The first thing you notice is sweeping views well aft along both sides from the single helm seat, in this case a Stidd. You can opt to have a second helm seat to port, but Jones wanted the built-in dinette so guests could take part in the progress of the voyage. Of necessity, this option makes a portside pilothouse door impossible. An oversized helm console supports four large displays, with room in the overhead for smaller instruments, repeaters, and communications gear. The custom teak wheel adds a nice touch, and all controls are within easy reach of the helm seat. The galley is a pleasing combination of optional granite countertops (Corian is standard) and teak cabinetry. I admired the fact that the overhead cabinets were not so large as to impede at-a-glance views to starboard from the helm. The full-size Sub-Zero upright refrigerator is large enough to keep a sizable crew fed for a week or more and is supplemented by several freezers. On this boat, a GE microwave with built-in exhaust hovers over the electric cooktop. The large Frankie double stainless steel sink is just right for soaking pans, and Selene has provided an abundance of under-counter drawers and storage lockers with shelves. The display on the microwave is the only light source that might affect night running, although it is simple enough to conceal. To the right of the helm console, curving stairs lead down to the accommodations deck landing forward. The VIP guest stateroom in the bow includes a private head compartment, a queen-size berth with excellent access from both sides, and side cabinets and bureau drawers that will easily hold a week’s worth of cruising wear. Two cedar-lined hanging lockers add even more storage. The stone floors in all of the heads integrate optional heating coils, taking the edge off those chilly Alaskan mornings. The master, amidship and stretching full beam, is a truly luxurious space. 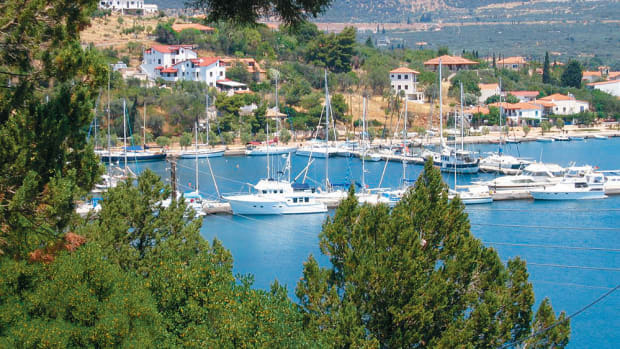 Large Manship opening ports on either side add light and ventilation in calm anchorages. An island queen dominates the area but doesn’t begin to make the stateroom feel crowded. Storage is beautifully integrated in the side cabinets and bureaus. There’s even space for a treadmill. Jones opted for a teak door that provides access to a watertight engine compartment door so that he could check on the engines without having to use the entrance from the lazarette. As I entered the engine compartment, the first thing I noticed was the excellent headroom, as well as the easy access to the centerline sides of engines. Space outboard of the engines was a bit tighter, but routine maintenance points were handed for centerline access. The overhead panels are removable in the event that major engine work must be performed. A Delta “T” ventilation system, the first one installed by Selene, was another important option. Optional Headhunter Tank Sentry monitors keep track of fuel levels, and large, well-marked manifolds can handle virtually any combination of transfer and polishing. Jones also specified a 2-inch-diameter crossover between the tanks so he could fuel from one side. All of the engine room systems are cleanly installed, with engine and generator starting batteries under the center walkway. 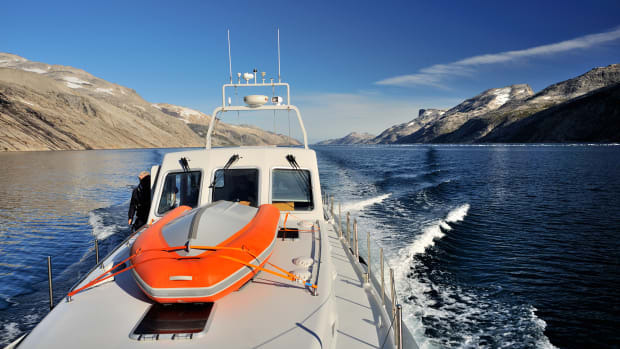 The inverter and DC charging system is located outside of the engine room, in the lazarette, along with options like the Kabola heater, a Village Marine watermaker, and a big Frigoboat freezer with a DC-powered compressor. There are hydraulic power take-offs on both main engines, plus another on the optional 25kW Northern Lights genset. Jones selected a full suite of WESMAR hydraulics, from windlass to stabilizers. Even when the mains are at idle, the genset PTO provides continuous power to the thrusters and to the Steelhead crane, which is rated for 1,700 lb.—enough for the planned 15-foot dinghy that will carry up to nine people. My time running the Selene 66, on a cold winter’s day on Seattle’s Lake Washington, was informative. The handling proved to be crisp and authoritative; the boat responded instantly to every spoke of the wheel I turned, with no outboard leaning. We achieved a top speed of 11.7 knots at 2440 rpm, burning 38gph. The twin engines proved thriftier at 10.2 knots and 1900 rpm, burning 16.6gph, for an approximate range of 1,380nm figured on 90 percent fuel capacity. Dropping to 1400 rpm cut that consumption by more than half. For those who are considering longer distances, the standard engine offering is either a single 525hp John Deere 6125AFM or a single 610hp Cummins QSM11. Bruce Jones elected twins because all of his previous boats had twin engines, a get-home configuration and his personal preference over a single. The professionals at Selene were more than responsive.